Starting your own business is the dream of many. 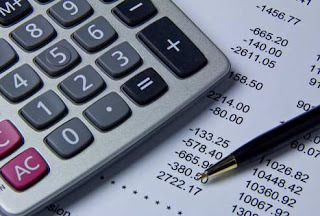 Between the start up costs, building clientele and supplying a good product, as well as the day to day business of running your company many people forget may feel overwhelmed with the accounting aspect that accompanies a new business. While some may be tempted to go at it alone, it is truly beneficial to have a professional accountancy service such as Nixon Williams help you address those needs. As your business grows so do your taxation issues, therefore its important to know what you have to pay but maybe more importantly what you do not need to pay, and how you could use that money to further grow your business. Nixon Williams is one of the premier contractor accountants in the UK specializing in services such as helping existing business, IR35, IT contractors, company formation, tax returns, bank accounts, pensions, insurance and investments as well as mortgages. They offer a complete accountancy service, combining traditional values with the use of modern technology. As a professional practice they constantly review their advice and legislation and procedures to ensure that the clients get the very best advice and appropriate tax efficient solution. To better their clients to better understand their needs, the company strives that all the paperwork be easy to read and in plain language. All the work is done as quickly and inexpensively as possible and you will always be dealing with a named person. Leave the number game to the professionals and focus on your life.